JERZY WIERZBICKI was born in September 23, 1975, in Gdansk, Poland. In 2000 he graduated from Archeology at Adam Mickiewicz University in Poznan, Poland. Wierzbicki works as a photographer at archeological excavations in the Middle East countries. In 2003 went to Iraq as a member – photographer of Babylon Archeological Project. He is a member of the American Society of Media Photographers ( www.asmp.org ). In May 2017 he defended the Ph.D thesis in the field of art photography at the National Film School in Łódź. Wierzbicki took part in numerous individual and group exhibitions in Poland. He received numerous artistic awards, among others: “Humanity Photo Award” second prize in the daily life category, Beijing China in 2004; also 2002 Newsweek Poland – second prize in the daily life category; 2003 Polish Press Photo – third prize in the daily life category. He became interested in photography in high school. In 1995 he began working on his major project picturing his hometown, Gdansk. At first it was a journey through harbor districts of the city and its canals. He created a series “Gdansk Suburbia” (exhibited at imago fotokunst galerie in Berlin in August 2004 and Side Gallery in Newcastle upon Tyne in March to May 2007). Since 2001 he has been photographing Silesia focusing on showing postindustrial areas and people who often struggle for surviving after economic changes, resulting in closing many mines and factories, took place. This remains his ongoing project, just like photographing Middle Eastern cultures, which he does while on digs in Syria and Iraq and his travels to Northern Africa. Since 2004-2005 he works for Samo Zdrowie (Hachette Filipacchi, Poland). Since September 2007 He lives and works in Sultanate of Oman. 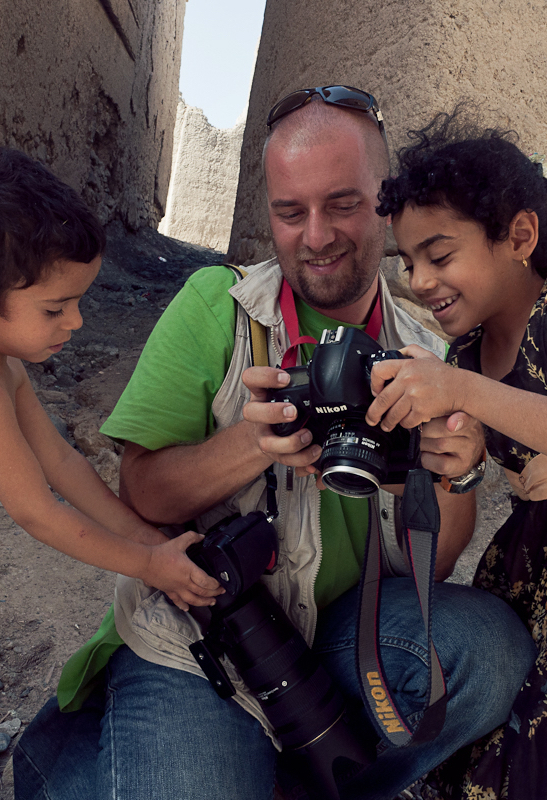 Since 2009 he was a press photographer in the “Times of Oman” and Arabic language daily newspaper “Al Shabiba”. Since 2009 till 2014 he is staff photographer in the weekly Y Magazine. In 2015 and 2016 he has cooperated with www.MiddleEasteye.net and BBC news. His works are held in the collections of the National Museum in Gdansk, National Museum in Wroclaw and the Art Museum in Lodz, Poland, as well as in private collections in Poland, Spain, USA, Germany, United Kingdom, Israel, Sultanate of Oman and South Africa.